With this product, a portal is easy to build. 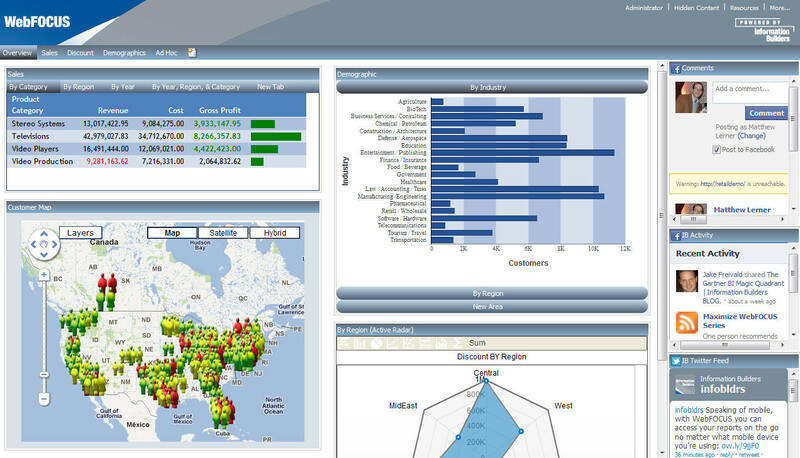 The BI Portal uses the same familiar ribbon interface found in WebFOCUS InfoAssist. Building a portal is just a matter of a few clicks and drag-and-drop actions. With the BI Portal, anyone who can build a report using InfoAssist can develop an impressive portal without any knowledge of web design. The following image shows a sample portal.